To deal with certain musical formats that Rock ‘n’ Roll can be presented to the fans is not an easy task. Sometimes, there are albums that are essentially good, but they must be heard with patience and without previous concepts tormenting the minds of the listeners. It’s the best thing to do when dealing with “Quitter”, the new album from MOES ANTHILL, a Zurich based quintet. It’s a kind of Alternative Folk Rock. Explaining: it sounds like a mix of Folk music and some lysergic voyages from Rock from the 70's, with some Pop Rock influences. It’s not so easy to describe their warm and tender melodies that can hook us by the year. There are no traces of aggressiveness or weight on this album, and being straight to the point, it’s not a Metal album. But it doesn’t mean that it’s not good, because it’s truly excellent. To build the sound quality of this album wasn’t as easy as some people could thing. To sound clean in the right way, to make everything work together, clean and actual is hard sometimes, but the producer of the album did a fine job, indeed, because everything can be understood without any problem. “Quitter” is not an album that can defy some musical convictions from many readers, but it’s too easy to be heard and to be loved due the excellent melodies. And the best songs to start are “Retire, Restore!” (the vocals are really good, with a 70’s Pop Rock/Folk touch in many moments), the bass guitar lines on “New Age”, the charming Country/Pop melodies of “Everyone Gets a Balloon” (the clean guitars’ arrangements are really beautiful), the rhythmic changes of “Virtual World” (good drumming along some distorted guitars), the Bluesy/Noir Jazz scent of “No Name Brass Bands” (the keyboard parts are really great), and the tender and almost Pop/Country “And Yet It Moves” can be said as the album’s best moments, but “Quitter” is entirely very good. 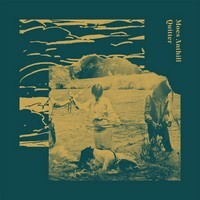 All that’s left to say is that “Quitter” needs to be heard without any musical idea blind your mind and senses, because the work presented on it by MOES ANTHILL is really excellent. Good music doesn’t need to be labeled but heard and loved.